A few weeks ago I was having a small get together with family. There was a bowl of grapes on the kitchen table. Not thinking anything of it, I ventured out to the porch with the rest of the family, leaving the grapes on the table. 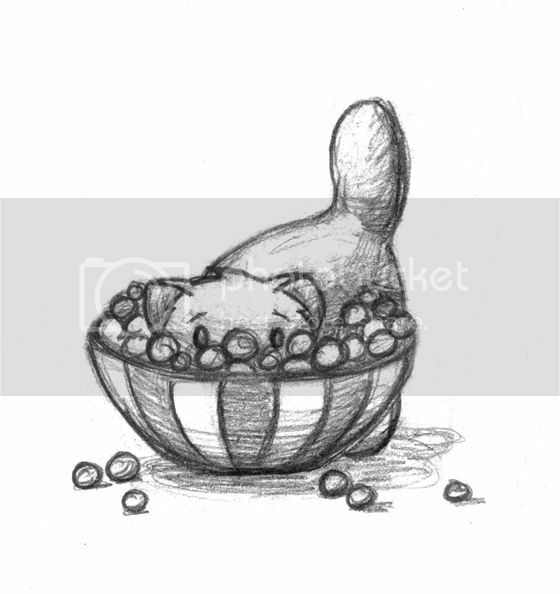 A short time later, someone went back to kitchen for something only to discover Mr. E face first in the bowl of grapes, doing his best to try to eat them. Apparently nothing is safe in our kitchen when Mr. E is on the prowl.